The first downloadable themed content pack for LEGO Worlds is now available and it lets the video game's players blast off on outer space adventures. This DLC pack (extra content you can purchase to enhance a video game by downloading it from the Internet) costs $3.99. 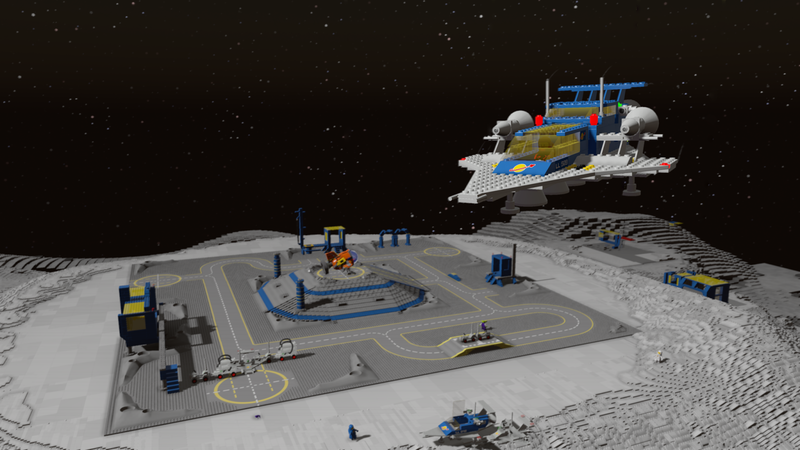 The new content includes brand new quests, characters, builds, and vehicles inspired from the popular LEGO Space toy playsets. LEGO Worlds takes the fun of playing with the iconic building bricks and mini-figures and transports it to a digital playground where players can unleash their imaginations in creating unique landscapes and adventures in a sandbox environment themed around LEGO toys. Players can blast off and explore the farthest reaches of space and embark on new adventures within the game as they traverse between Worlds in a new space-themed PUG-Z, explore a new Space Theme World, or build a customized Space Station with Rocket Launchers in the new Moon biome. 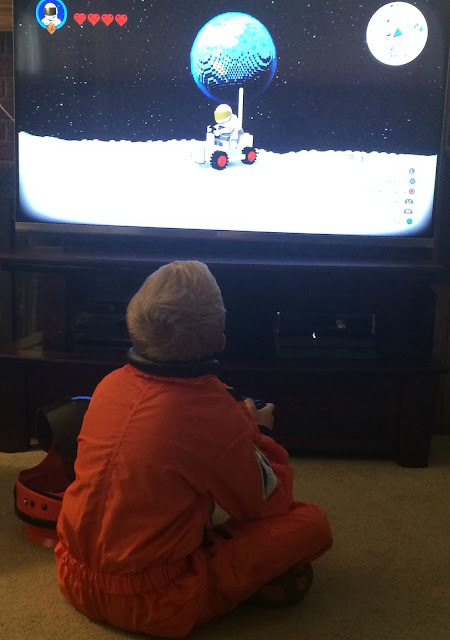 My kids just like goofing around in outer space though! 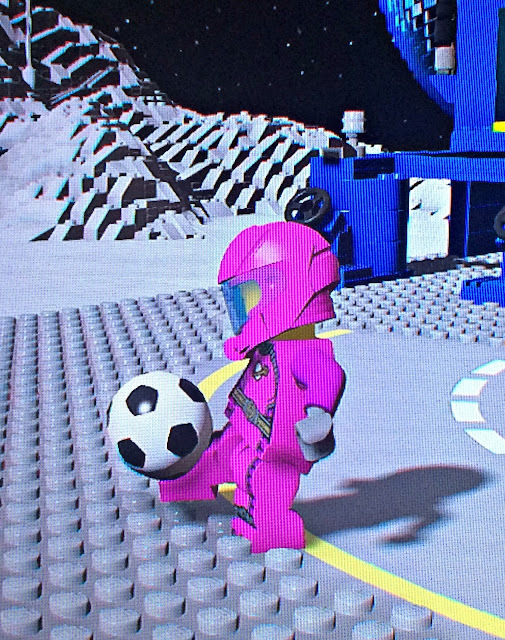 My daughter loves playing soccer on the moon while my son likes bringing the game's original accessories, characters, and vehicles into outer space. They've been having a lot of fun trying out all the new features included within the new LEGO Worlds Classic Space DLC Pack. Take a moon buggy for a spin, battle robotic monsters and discover alien friends within the content of this space themed DLC pack. 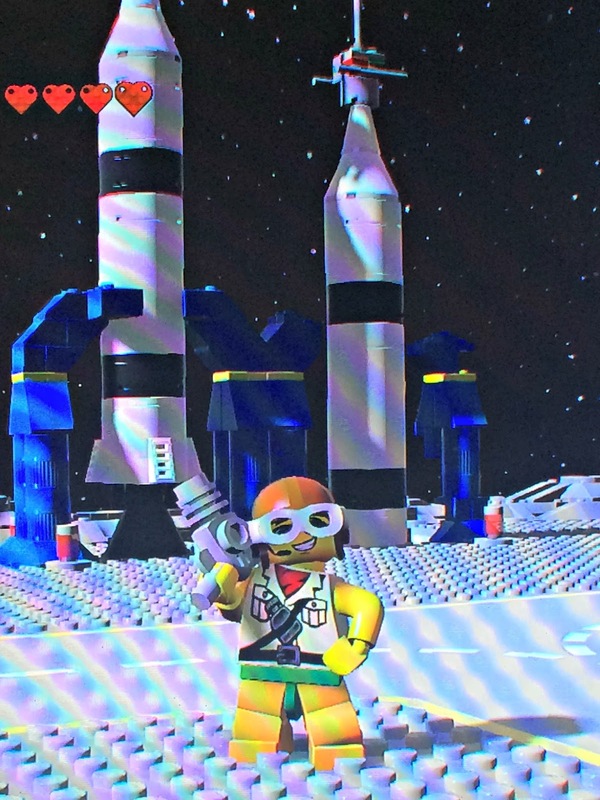 While my kids enjoyed trying out all the new stuff available in the video game, I was excited to discover that the buildings and spaceships had the same appearance as the LEGO toys that I played with as a kid in the '80s. Talk about a walk down memory lane! 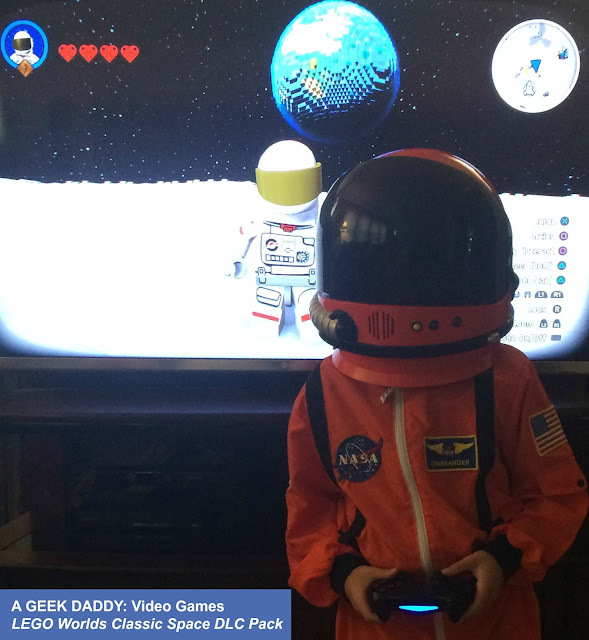 Yet while the new content has an 1980s vibe to it, the DLC Pack also provides the special effects and digital capabilities that delight today's kids. 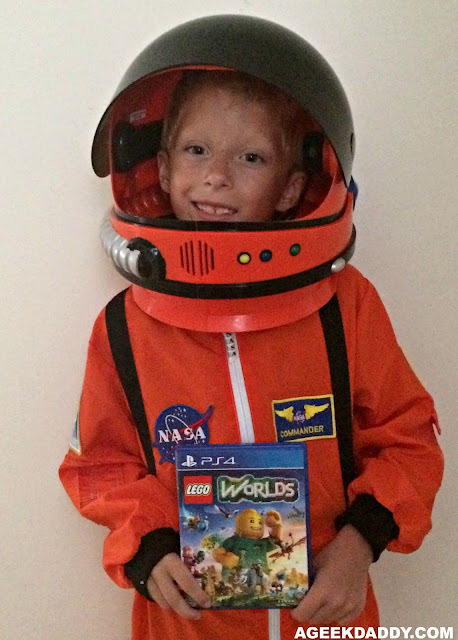 LEGO Worlds is a galaxy of imaginative worlds made of digital LEGO bricks where players can explore, discover and create together. The game is currently available for PlayStation®4 computer entertainment system, Xbox One, and STEAM and will be coming to the Nintendo Switch™ in Fall 2017. For more information, visit www.lego.com/en-us/worlds.